As a franchisor, you need to implement a good induction process and follow it up with a great training and support system. 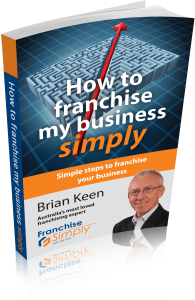 Following the correct steps in franchising a business is essential. Base your model on a good legal foundation so everyone knows what is what. An absence of great support is one of the major reasons franchises fail. Your support needs to be based on your ability to listen with empathy, to be able to do your part of the job and to be direct about what all parties are responsible for. Good systems — The operations manuals need to work and be kept up to date. It surprised me at a recent conference to hear franchisors from well-established groups admit they could not get their franchisees to use their manuals. I am betting the manuals had been prepared by someone outside the organisation who tried to squeeze in every detail and ended up creating documents so large and unwieldy that they could not be used. Keep it relevant, simple and definitely in the cloud so systems are linked, accessible and searchable, with permissions that apply to the roles. Regular reporting both ways — Your franchisees need to report to you so you know what is going on. You need to report to them so they know too. Be transparent. Formal and informal avenues for contact — Allow your franchisees to get in touch via phone calls, meetings on site, meetings in groups, annual and other get-togethers. This helps everyone to run well and build the business as a team. Probably most importantly, you need to get the money right. This is the other major reason leading to franchise failures. You need to get your franchise structures right and make sure both sides of the group can be profitable in the long term. The upfront price of your franchise needs to reflect market value and be fair. The ongoing fees need to cover all the support you need to provide over the long term. Remember to take into account reviewing and refreshing your brand and franchise structure from time to time. Both you and your franchisees need to be profitable or it won’t work.